Here's the color palette. You can look at my vectors. 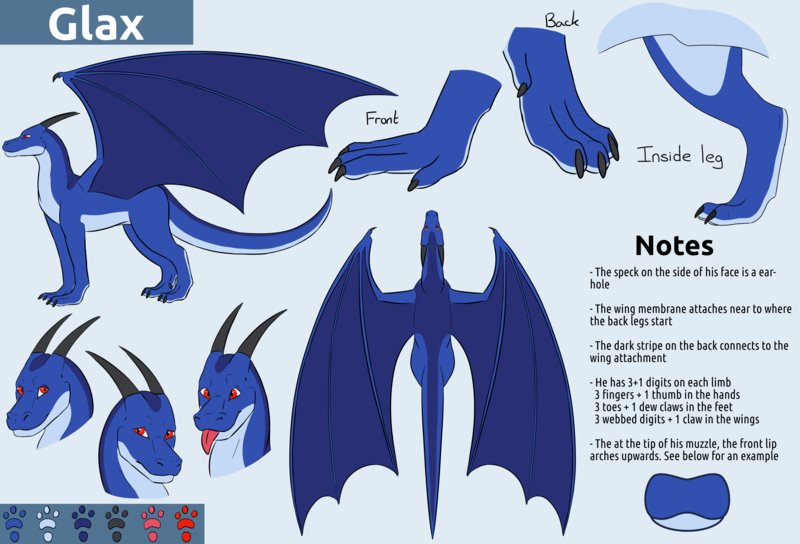 Glax reference sheet by Wolfool (Twitter, FA).